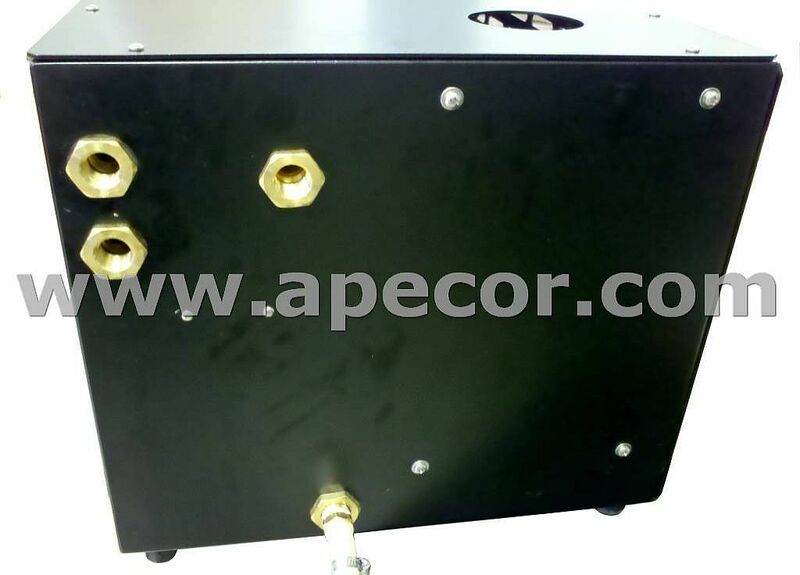 The Active Controlled Cooling System (ACCS) is designed to cool electrical or mechanical systems that require a regulated temperature with coolant temperatures up to 105°C. 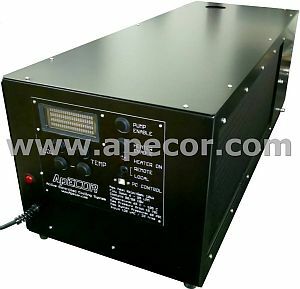 Two versions are available for heat loads of 5kW (ACCS-5) or 10kW (ACCS-10). The rated amount of heat can be rejected over a temperature range of 60°C to 105°C. The coolant loop uses a finned radiator with powerful fans to reject the heat. The system can be controlled either through the easy to use front-panel interface or remotely through a USB computer interface. 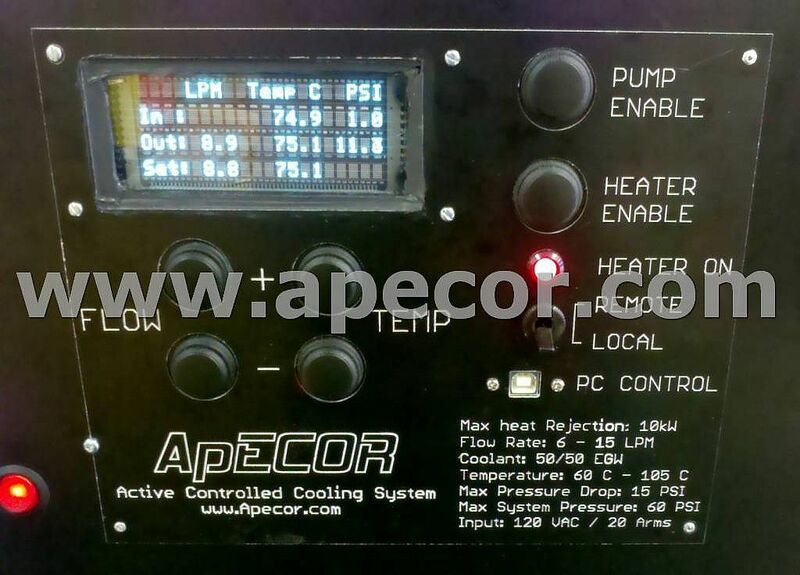 The cooling system utilizes full digital control to allow tight regulation of the coolant flow rate and temperature. The controller senses the flow rate, the outlet and inlet pressure, and the outlet and inlet temperature. The system is designed for laboratory and industrial environments which require a tightly regulated coolant. The system features easy to access fill and drain ports, pressure relief valves, and large outlet and inlet ports. Additionally there are several measures taken to protect the unit from excessive pressure and to prevent boiling.